When it comes to companies that offer work at home jobs, a lot of us rely on their BBB ratings to determine their trustworthiness. Sure, the ratings on the Better Business Bureau’s site can be manipulated to some degree (just like anything else, I guess!) but it’s one of the best tools we often have in determining whether a work at home opportunity is legit or just another envelope stuffing scam! 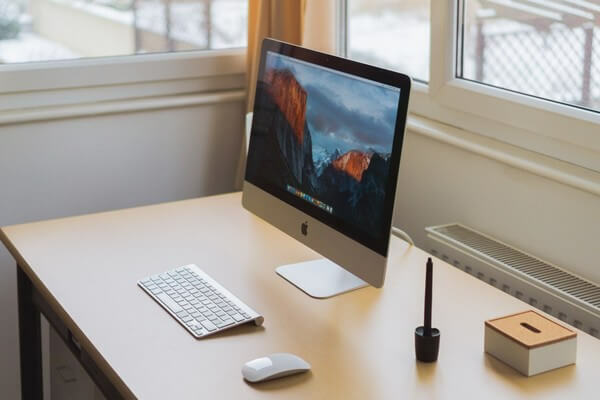 So, to make your job easier, I put together a list of companies with A+ BBB rating that offer work at home opportunities. How the BBB ratings work? BBB ratings are given based on information the organization gathers about any given company, including public complaints. BBB ratings are assigned from A+ (the highest) to F (the lowest). If a company doesn’t have any ratings, it’s indicated by “NR” or “No Rating“. Just because a company gets an A+ rating, doesn’t mean you should blindly do whatever they say. You should use these ratings as one factor, in your overall research, in determining whether a site/company is legit or scam. With that said, here is a list of BBB certified/accredited work at home companies with A+ rating. You’re almost certainly familiar with Nielsen, the group that reports viewership for television programs. Nielsen doesn’t just do TV ratings. It conducts market research in a number of markets. One of those markets is the internet, more specifically how people use the internet. And in order to gather data, just like their famous Nielsen TV program, they will pay you to share your internet usage habit. By participating in the program, not only you earn a little extra cash, you also help shape the feature of internet and products and services that are made for internet users. Download their app on your PC. Then use the internet normally. The app will work in the background gathering information about your internet habits. Of course, these are not sensitive info like your bank account or things like that. And yes, the information is gathered anonymously. There is nothing that identifies you. The only info are general ones like age, gender, where you live, race, how many hours a day you are online, what sites you visit, etc. A straightforward survey site that allows you to take surveys towards rewards points and sweepstakes entries. The points can go towards cash or free gift cards, or you can just keep taking surveys for a chance at the sweepstakes. It’s a simple, easy way to do surveys for rewards. This is the most popular online reward site by far, used by people all over the world to turn their time into rewards such as PayPal credit and gift cards. You can even earn points for playing games, watching videos, as well as shopping. They still maintain a solid BBB rating despite being such a massive company – a very good sign. I actually wrote a review of Swagbucks a while back where I shared a simple way you can earn an extra $758.25 a year using Swagbucks. This isn’t a traditional money-making site like many others on this list are, but if you do a lot of online shopping, you’d be crazy not to use this site. eBates, is one of the best cashback sites out there. You can earn cashback shopping from more than 2000 stores. The cashback percentage varies based on the store, but some can go as high as 40%! If you shop online a lot, this is one site you must use. All you do is sign up for free. A little later your eBates account gets credited. Every 3 months, they’ll send you a big fat check that contains all your cashback earnings for the past 3 months. Fusion Cash is another reward program that pays you for anything from shopping and trying trial offers to taking surveys and visiting websites. What’s nice about them is that you can be paid via check or bank deposit if you want, in addition to the standard PayPal. InboxDollars is a task-based rewards program that offers you the ability to get real cash for each task you perform. Right now they’re offering a $5 sign-up bonus, though you will need to earn $30 total before you can cash out. Payment is done via check or bank deposit. There are a few unique tasks that you can get paid to do, such as printing coupons, but a lot of the standard fare as well – watching videos, doing offers, and using the InboxDollars’ search engine. They offer an option for setting their search engine as your homepage, which I recommend using. It will make it easier to use the search engine frequently if you set it as your homepage, and you can accumulate cash for doing so. I would recommend taking advantage of different opportunities on the site while you’re there, as it might take you a little bit of time to build up cash from the searching. However, you CAN get paid for searching, so there’s no reason not to. Sign up for Inbox Dollars here to get your $5 bonus. GTM is one of the work at home survey sites where you can earn money for taking online surveys. They conduct market research surveys in a variety of fields including entertainment, food, shopping, and more. It’s a clean and easy to use site that makes it simple to earn. A great option if you’re looking for straight-up surveys and payouts. Mindfield is another awesome survey site that pay you to answer surveys. They don’t offer too much beyond surveys, but it has a nice approach that will make spending your time there pretty easy. The payout minimum is $5. SurveySavvy is one of the oldest online survey panels and it is one that I personally joined in my early years of trying to make money at home. The surveys here tend to pay a little higher than other sites, with $1 being the average, though it can raise all the way up to $20 or so in certain cases. Payout is done via check once you’ve reached $1. e-Poll, as the name suggests, is a site about taking short-form surveys in return for points you can redeem for prizes. Another survey site which has been around for a long time. What I like about iPsos is that they have an app that makes it easy to take surveys from anywhere, anytime. So while you wait in your dentist’s office, you can earn a few dollars by taking a survey or two. In my personal experience, this has been a very good service and I would highly recommend it. You can even sign up by syncing your Facebook account. You have probably heard of About.com – it gets over 55 million monthly visitors, after all. It is one of the many sites that pay you to write articles. If you’re an expert on any topic, and I mean any topic (About.com has sites in almost every niche you can think of) this is one site you want to write for. They do have a solid application process which allows them to hire only the best of the best. But again, as long as you are an expert at one topic, no matter what topic it is, you have a good chance of getting in. As you may have guessed by the name, CrowdSource is crowdsourcing site where people hire freelancers to do short tasks. This is a step above those normal task sites, however. These are, normally, higher paying tasks than what you would find on your usual task sites like AmazonTurk. Appen Butler Hill is another site that trends towards the ‘real job’ territory, but it’s still an A+ business! They hire Search Engine Evaluators that basically rate the results of various search queries. This information helps companies like Google make their search algorithm better at ranking sites and content that better match each query. It has a full application process like you’d expect a decent company to have. Their average pay is around $14 an hour. If you’re tech-savvy, Dell may hire you for remote tech support. They’re not just limited to the vague ‘tech support’ title, however – they’re also looking for specialists. Definitely consider applying if you’re good with computers and software. Liveops is a call center company that offer virtual call center jobs. You’ll work from home making and answering calls for various clients. They do have some phone and computer requirements that you can learn about on their site. This is another call center/marketing position type job. 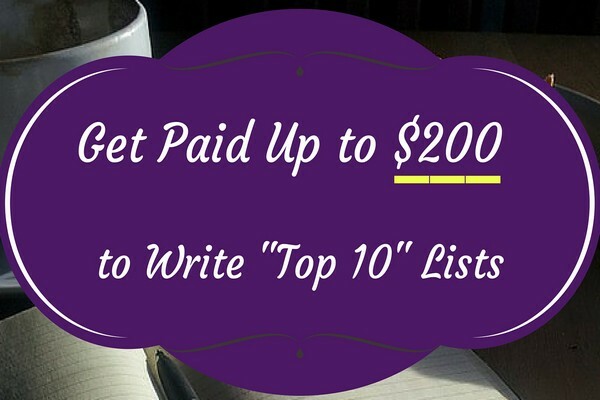 Like the previous entry on the list, they’re looking for more than just generating leads from random telephone calls. This company is also looking for people with skills in a whole host of things, such as talent scouting, virtual assistant roles, marketing to clients, and managing databases. If you’re looking for a remote job, definitely check out this company and see what positions they have available. You’re no doubt aware that internet is full of stock pictures that can be purchased and used for a variety of things. Well, one of the biggest providers of stock photos on the web is Shutterstock, a company that will pay photographers and artists for access to their work. Thousands of pictures are submitted to the site daily. And in order to ensure quality, they have what they call “Image Raters” go through each one. As an Image Rater, you will rate pictures based on quality. This business is looking for experienced, professional editors who are willing to put in full time hours editing in a variety of fields. They want specialists, too, so don’t be deterred if you’re familiar with editing of a certain type. They want everyone from copy editors to thesis editors. Tellwhat is a survey site that sweets the pot by offering you prizes in return for your opinion. They work on a point system, which can then be exchanged for gift cards to big name retailers like Best Buy or Barnes & Noble. You also have the option of getting a Visa prepaid card if you’d like straight cash. Atena, yes, the same Atena as the insurance giant. This company outsources work to at-home professionals, specifically, registered nurses. However this can be a great opportunity if there isn’t work in your area, and you want to put your skills to good use! Of course, your RN license must be current. Morse hires people that are send out as agents to visit courts and gather data on probate cases. This means that you’ll be sorting out things with wills and inheritance, so you need to be comfortable with that. You get paid hourly with a chance for finder’s fees, so it’s a great opportunity. This is a work from-home site that hires call agents to provide customer service. It’s another real job opportunity that includes training, benefits, and an hourly wage – all done from home! This group has a strong BBB rating, so there’s no doubt that they do their business reliably. Unlike some of the more casual options on this list, Intrep is a completely professional service that will likely take the place of another job. This is a sales consulting group. The work includes things like appointment setting and script development. A serious opportunity, but still a remote job. I am a big fan of buying and selling used books as a way to earn some extra money. And this site makes it easy to sell your used books. But even if you are not into buying and selling books, you can use this site to sell your old and unused books for cash quickly and easily. All you have to do is visit the site, enter the book’s ISBN, and hit submit. In a few seconds you will get an offer from the site as to how much they are willing to pay you for the book. If you accept the offer, they’ll send you a prepaid envelop that you can use to ship the book to them. Once they get the book(s), you will receive a check. I would definitely recommend that you try out at least a few of these sites, even if it is some of the casual ones. Obviously, some of these sites are not going to provide you a full time or even part time job. They are good for making some extra cash. But then there are a few like Dell that do offer full and part time positions. But no matter which ones you go with, at least you know they all have an A+ rating from the BBB and aren’t out to scam you. I want to try some of these websites/ideas/work opportunities. They look promising, but do they provide legitimate work assignments? or is it like so many other businesses, SATURATED!! So no work available, because the amount of people trying to do this is far greater than the amount of assignments available. I will just have to try my luck….. Yes, they are legitimate companies behind these sites. But as far as work consistency goes, it really depends. On survey sites, no you wont get consistent work, especially since you won’t be an employee of them. But if you go with sites like Atena that offer at home positions you have a better chance of consistent work. Survey sites and rebate sites are more for earning extra income in your free time. They have a few different departments you can work in – Customer Service, Finance, Nursing, Marketing, Sales, etc. Bretha, legit survey sites usually either pay you via PayPal, Check or by gift cards. The payment is usually made when you reach the minimum required. At that point, some sites will automatically send you the payment, with other sites, you login to your account and request a payment. Some may send you a check. But with some, you’ll have to have a PayPal/Bank account to get paid. As for W2s, with most of these sites you won’t be any employee of them. You work as a freelancer or independent contractor and if you make more than $600 a year, they’ll 1099 you. I’m interested in joining some of these sites. But I need to know, are these companies restricted to certain areas? I tried applying to survey savvy and was told it’s not available in my area (Nigeria). These list provided, do they also have the same restriction? Yes, most of these companies only accept users from a few western countries. I was on the BBB site…How do I search MYSELF to get the list if work at home companies that you got for this article? There is no “list” on the BBB’s site. You just have to basically search for the name of the companies you find online. Very interesting information. I will try a majority of them and follow up with honest comments.